When planning a holiday, location is usually the first consideration. Having chosen your destination, the next decision to make is accommodation. Traditionally, holiday makers would immediately look for hotels, with the idea that they will be the best value for money and provide more facilities. However, in recent times renting villas has become a more popular and flexible option. Imagine a family of five, two parents and three children – in a hotel they would have to book at least two rooms and possibly a parent would have to stay in each room, if the children were small. In this case, the hotel room is simply a place to sleep and not the most ideal situation. Now imagine the same family booking a villa, for the same price as the two hotel rooms. They now all have their own bedrooms, the security of all being together, as well as indoor and outdoor space where they can spend time together. A private swimming pool and garden are a lot safer for children and makes parental supervision easier. Renting a villa is not only a great idea for families, it works well for couples who like privacy, perfect for honeymooners, or a group holiday. 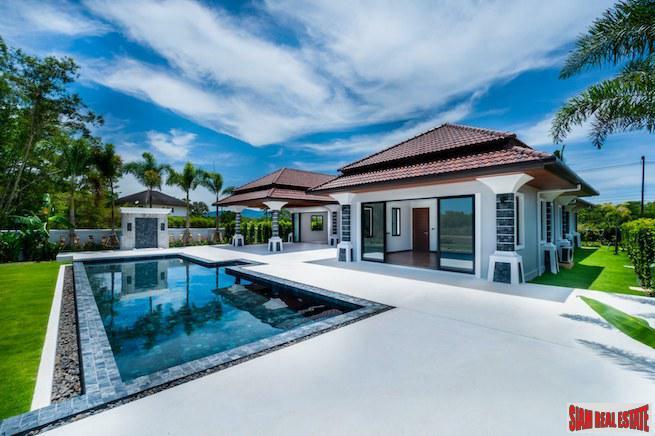 As villas in Phuket are available with two bedrooms up to six or even eight, it is easy for everyone to find a suitable property. Many groups holiday together, from young friends to a few couples, what could be better than sharing the cost of a fabulous six bedroom villa and experiencing the ultimate tropical lifestyle, which other options can simply not offer. A fully equipped kitchen, indoor and outdoor dining areas and lounges, balconies and terraces offer a choice of spaces in which to spend time. Villas in Phuket often have the most stunning locations, are completely private and provide guests with more freedom. Being detached properties means there are no other guests in your personal space and gardens and pools are solely for your use. Some villa developments are designed like resorts with tropical gardens, communal pools and facilities such as spas, restaurants and full management service. Those who rent a villa can choose to be near the busy tourist areas, although usually high above in a prime hillside location, or in quiet areas out of the way, for the most peaceful and relaxing stay. 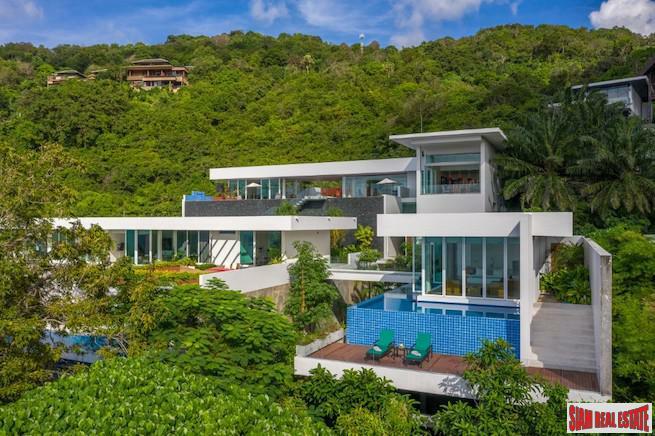 There are villas available all around Phuket, with a location suitable for everyone, near all of the major beaches, inland amongst the jungle or dotted along the picturesque east coast. Renting a holiday villa also provides the option of self-catering, reducing the cost of dining and eliminating the restrictions of fixed restaurant hours. Some villas provide an in-house chef, who will cook whatever you desire. The majority of villas have security measures, such as guarded entrance gates, CCTV, alarm systems etc for peace of mind. Extra services such as a maid, laundry, babysitting and airport transfer are often available, as are in-villa massage and spa treatments. A villa owner or management will often provide more personalised services and make your stay completely stress free. A car and driver or vehicle rental is often offered and staff can provide ideas of where to go and what to do. Villa rentals have no hidden charges, no 18% tax or service charges and are more flexible with check in/out times. 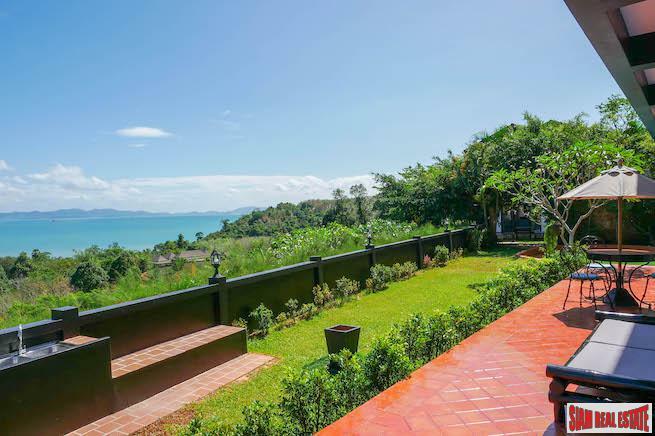 When looking for a villa to rent in Phuket, using an agent such as Siam Real Estate is not only better for comparison of properties, but also provides peace of mind that your booking is guaranteed. There are so many villas available that a search tool is invaluable, you can choose which features are most important to you, such as number of bedrooms, sea views, proximity to beach or accessibility. There are also offers available such as our early bird discount, up to 25% off the published price for bookings made three months in advance. An agent will deal with the villa owner, making booking fuss free and more convenient without time difference or language constraints.